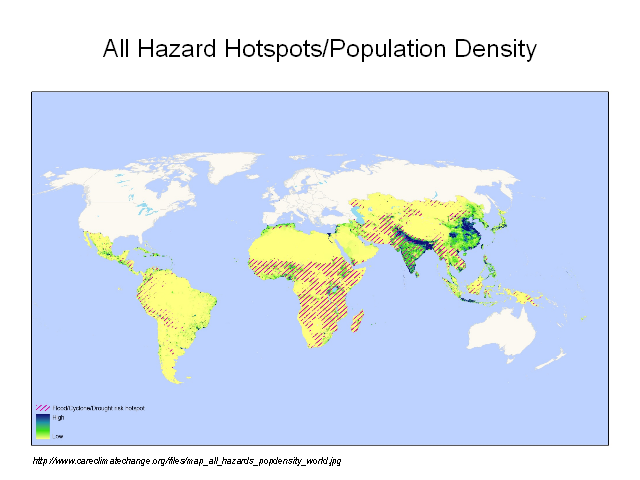 This map shows hotspots of humanitarian risk for floods, cyclones, and drought overlaying a population density gradient. Blue areas with striped overlay represent areas of high population density that are also risk hotspots. These are at higher risk of future population displacement as a result of climate hazards.